04 12 2012 - Google vice president and “father of the Internet” Vint Cerf has a simple plea for the nations of the world: Keep the Internet free and open. Cerf’s appeal, posted on the official Google blog, comes on the first day of the World Conference on International Telecommunications. WCIT is a a two-week United Nations conference during which governments of the world will discuss and possibly shape the future of the Internet. WCIT’s purpose is to update the International Telecommunications Regulations (ITRs), an international treaty designed to smooth international information and communication services. Given the ITRs haven’t been updated in more than two decades, that seems on the surface a good idea. However, some UN watchers and Internet advocates warn that several proposals being put forth are dangerous to the open Internet. Even though much of what we know about various countries’ proposals comes from leaked documents, Cerf and others believe what we’ve seen from those leaked proposals is enough to be worried: some countries, for example, want the United Nations to take control of Internet governance from private-sector groups such as ICANN, for which Cerf served as chairman from 2000-2007. Others want to tax international Internet traffic. 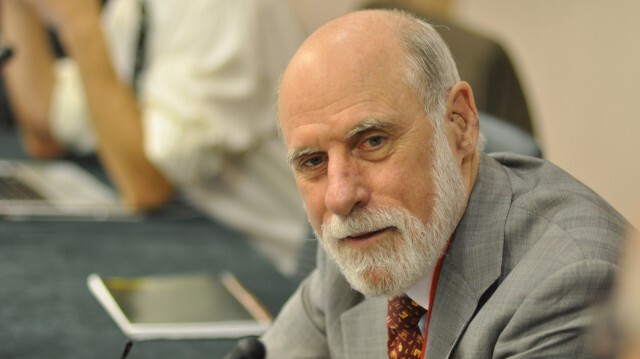 Cerf, however, argues the Internet has done extremely well under the current multi-stakeholder, market-driven model with minimal government involvement. Cerf also warns of other countries’ proposals to expand government power to monitor and potentially censor the web under the guise of combating spam. Google, Mozilla and a host of other Internet companies and advocacy groups are working to draw attention to WCIT, but it’s unknown how effective those information campaigns will be. WCIT is one-country, one-vote, and only governments get a vote — not developers, designers, engineers or Internet users in general. However, many analysts agree the conference is unlikely to cause any real change in the way the Internet is governed. WCIT proposals will require a general consensus to pass, a level of agreement unlikely to be met by the most radical of proposals. Instead, the conference will be more about about various nations discussing their vision of the future Internet, and for that reason is worth Internet users’ attention.